30 architects presents the approach of international architecture firms, be they emerging, established or historical figures of the discipline, through an original element of design or theoretical research. The sensitive and evolving selection, collated by Marion Bernard Architectes, forms an imaginary museum of the discipline and its practices. 30 architects questions the approach more than the constructed building, explores causes more than consequences, examines the path taken more than the destination. Each architecture firm exhibited extricates itself from the constructed vocabulary so that its architectural practice is visible. 30 architects abandons measurements to share architectural issues through autonomous elements and theoretical objects belonging to the conception process or to the critical exercise: books, videos, drawings, scale models, installations, poems, templates. 30 architects asserts the force of styles, capable of maintaining, without exterior ties, forms sufficiently powerful so as to make constraints and contingencies disappear, and where only architecture remains. 30 architects is an open and spontaneous programme that brings together and unites a sensitive and evolving selection of emerging practices, established studios and historical figures. 30 architects depicts a renewed and subjective perspective of a diversity of contemporary practices that enhance experimentation and research, and which give priority to feeling as a tool of creation. 30 architects questions the manner the discipline is presented, creating an imaginary museum so that complex worlds and numerous techniques may be easily grasped, and forges a new grammar where nothing is construction but everything is architecture. 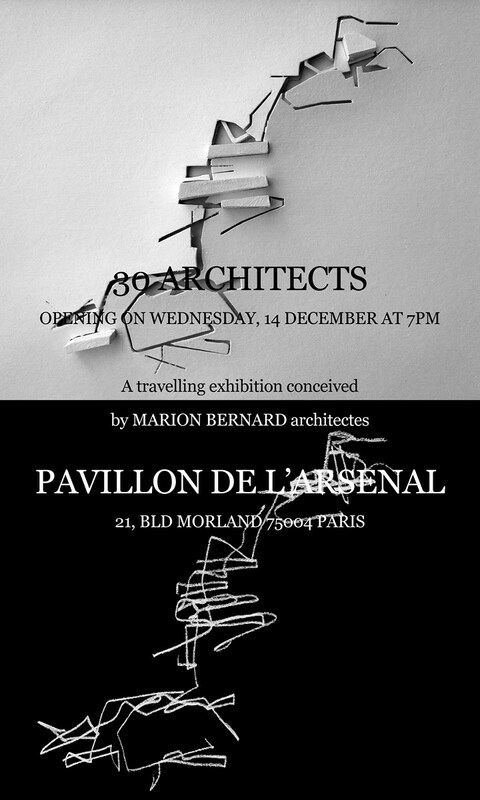 30 architects is a mobile project conceived by the architects Manon Gaillet and Sylvain Bérard.